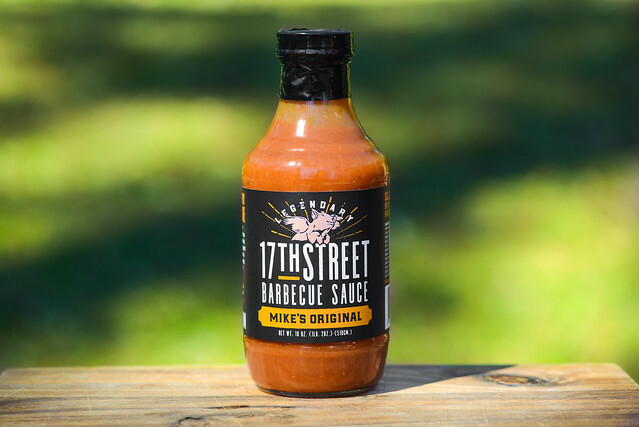 Possessing a very well balanced barbecue profile, with a notable increase in mustard, 17th Street Barbecue Mike's Original delivers a real crowd pleasing flavor. If you've been around the barbecue business for any amount of time, you've probably at least know of the father and daughter team of Mike and Amy Mills. Mike was dubbed "The Legend" after he became the winningest man on the competition circuit in the 1990s with his team Apple City Barbecue. His roots stretch much deeper than that though with his restaurant, 17th Street Barbecue, that has been an staple in Southern Illinois. Amy has followed in her father's footsteps, working in the family business as well as starting her own barbecue consultancy called On Cue. Today, the Mills' own restaurants in both Illinois and Las Vegas, have authored two barbecue cookbooks, and host their own competition called Praise the Lard in their hometown of Murphysboro. A strong acidic tomato aroma greets you on first whiff of this sauce. The tanginess is prominent, but not so strong that it masks a mellow sweetness that's mixed in as well. A few deeper inhales bring along with it the complexity of Worcestershire, an earthy pepper, and light garlic. 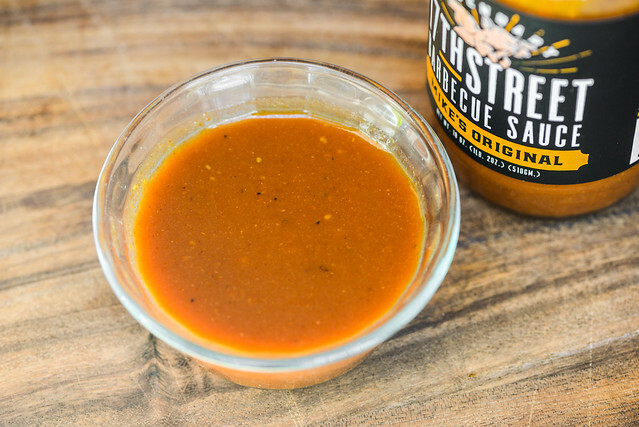 This rusty orange sauce is smooth with a glossy sheen. It's semi-transparent, which makes it easy to see lots of spices peppered throughout that come in varying sizes and colors including red, white, and black. It has a medium-thin consistency and falls in a very fast, continuous pour from a suspended spoon. After that steady stream ends and a couple final drips release, a thin coating of sauce is left clinging to the silverware. 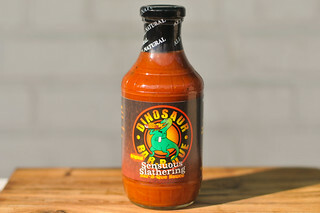 The first taste of this sauce provides a mild sweetness with a bright, tomato ketchup taste. Next the vinegar comes in and balances out the sweetness without becoming dominant, creating a somewhat neutral flavor. As the sauce sits on the tongue longer, the sauce's complexity really builds up with a combination of mustard, Worcestershire, onion, garlic, and earthy peppers. Then, at the end, the vinegar ramps up and becomes the main attraction, while peppers and sugar cling on, creating a tangy, peppery, and semi-sweet aftertaste. 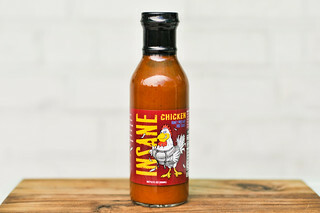 This sauce coated the chicken in a thin, even layer that baked down well over indirect heat. When moved right over the coals, the sauce developed some nice caramelization and only had slight burn off. The flavor was pretty mellow on a whole, having a good balance between tomato, mustard, sugar, and vinegar. Some of the extra complexity from out of the jar got a bit lost after being cooked though. 17th Street sent me their entire suite of sauces after they took production in house and reformulated everything to use non-GMO ingredients. So far I've been impressed with the line-up, and Mike's Original continues that trend, albeit leaving me not as blow away as I was with Little Kick and Apple City Red. Basically, Mike's Original just tasted like a really well balanced delivery of a standard barbecue profile. A stronger mustard component was notable, but you're pretty much getting a familiar combo of sweet, tangy, and fruity. 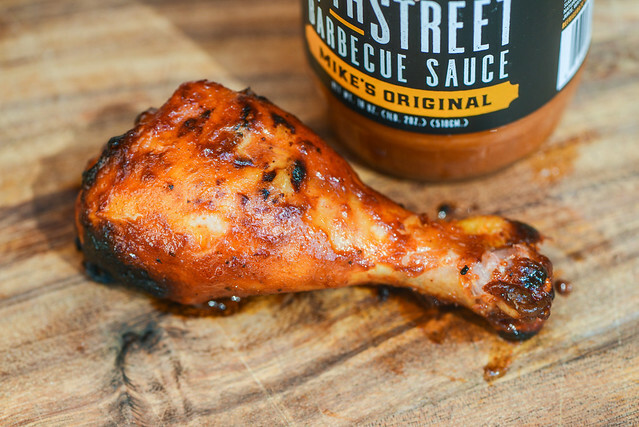 I think the fact that the sauce isn't pulled too hard in any one direction ultimately creates a real crowd pleaser, but after tasting how their other sauces really standout, I couldn't quite put Mike's Original on the exact same footing. 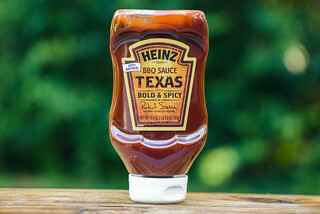 Since this sauce's flavor isn't overly robust, I think it's best suited for lighter meats like chicken and pork, although a nice hit of mustard can always do beef and lamb some good too.